Climate Change is an Abstract Idea? In the ex parte appeal, the PTAB has affirmed the examiner’s rejection on eligibility grounds – finding that the claims were directed to the abstract idea of “selecti[ng] data (temperature, radiation) obtained from known and existing technology and then using the data to make a correlation.” Citing Digitech. Although transformation is not a “litmus test” of eligibility it is still relevant – here the PTAB held that changing a body’s temperature does not count as Diehr-style transformation. The decision would look like a good candidate for a civil action challenge or appeal – except that the PTAB also found the claims obvious. The examiner had also rejected the claims as obvious. However, those rejections were reversed on appeal. In my mind, that makes this case a good candidate for challenge – either through civil action or appeal. Digitech Image Technologies, LLC v. Electronics for Imaging, Inc., 758 F.3d 1344, 1351 (Fed. Cir. 2014). determining a concentration of a substance in the body non-invasively by using a correlation with the normalized ratio parameter. So, in other words, the determining witch is still the determining witch. is not known in the prior art. Digging in to the spec a little, it seems that IR radiation varies as a function of temperature. This non-obvious measuring step thus yields transitory IR readings that exist as a result of the temperature manipulation and that vary over the measurement time. That measured radiation produced by the non-obvious step is used in the subsequent calculation. Perhaps the measured radiation could be considered the transformation to a “different state or thing” analogous to Diehr. Thus, the claim would be eligible. Some commented that the “same” thing was done in 12-year old prior art; the PTAB found otherwise. Reviewing that art a little, it seems the maintenance fees were not paid by a major corp; perhaps the old art did not work and these guys figured out a simple, but unnoticed, solution to the problem. Sounds like a worthwhile, albeit narrow, patent to me. Yes, but “measuring a first amount of infrared radiation absorbed or emitted from the body in a first wavelength band at predetermined time intervals during the recovery increasing decreasing the surface of the body from the second temperature to the first temperature, the first wavelength band being a wavelength band or bands in which a substance in the body emits or absorbs infrared radiation” was known in the art. I didnt realize that the u tag was ignored by this system. Correct, though briefly skimming the data analysis, it looks like that particular art did not use the claimed “calculating a normalized ratio parameter based on the first amount, the second amount, the body surface temperature, and the ambient temperature; and determining a concentration of a substance in the body non-invasively by using a correlation with the normalized ratio parameter.” My impression was they had a different approach. KT, are you actually reading the magnificent horseshirt that you are writing? Seriously, people: just recognize the junk when you see it and stop. There is nothing “narrow” about this patent claim, by the way. This is pretty easy to understand. Just go back to structure. The anti-patent crowd have a witch they call the “determining witch”. If your structure includes a determining witch, then that part of the structure doesn’t count as structure, well, because it is a witch. Just use the structure is it a witch test. Pretty simple. Do we really not want to encourage people to invent stuff that figures out what is going on (determines)? I wonder how many billions of dollars has been wasted by the Alice decision? My guess is that the cost of Alice is over $1 trillion dollars. I wonder how many billions of dollars has been wasted by patent attorneys who can’t understand essential and straightforward decisions like Mayo and Alice? You mean chapters 4 and 5 of Malleus Maleficarum. determining a [value] by using a correlation with the normalized ratio parameter. It’s math. Unless there’s (1) a step or series of steps involving a novel, non-obvious transformation of matter or (2) the recitation of a new non-obvious machine using objective structural terms distinguishing that machine from prior art machines, then the ineligibility of the claim is pretty much a given. I mean, you might get it out of the PTO (which is utterly cl u e le ss, and contrary to contemporary mythology, nearly always erring in the applicants’ favor) and you might find a sympathetic district court judge or a sub-panel on the CAFC but push this kind of junk hard enough against a competent attorney and you will always end up with the shorter stick. his thinly veiled MoT was expressly thrown out by all nine Justices in the Bilski case. anon, it is the determining witch. Just stop. The townsfolk have a need to burn the determining witch. Unless the very last determining step is the only thing not in the prior art one might think this thing would be eligible. Would have to read the whole decision tho. The deficiency in the prior art identified by PTAB was basically that the primary reference made the infrared measurements based on a negative thermal state change and the claimed invention made those same measurements based on a positive thermal state change. There was no mention of any anisotropy in the measurement as a secondary condsideration. I do not think that THAT (anisotropy) was pertinent to BE mentioned (as a secondary consideration or otherwise. The references taught one thing – the claim another. The attempted “soundbyte” out of context was what was being pointed out with the with the negative versus positive changes. he references taught one thing – the claim another. This claim “teaches” you to “use a correlation” and a “normalized ratio parameter” to “determine” a value. I don’t know what exactly is “the references” but I do know that there is nothing new about what this claim teaches. MM brosef did you hear? The new feminine economy is here to save you from the patriarchy. It shuns “greed”. That’s the difference between patent prosecutors and actual scientists, engineers, and technologists. Patent prosecutors are willing to claim that a reference which teaches a technique for measuring the latent heat of melting ice does not make obvious a claim to using the same technique for measuring the the latent heat of freezing water. Ben: Patent prosecutors are willing to claim that a reference which teaches a technique for measuring the latent heat of melting ice does not make obvious a claim to using the same technique for measuring the the latent heat of freezing water. I’ve no idea what this is supposed to mean as the law has made no distinction between “Diehr-style” “transformations” versus other “styles” of “transformation”. With respect to subject matter eligibility, there is definitely a legal distinction to be made between transformations that occur in prior art data gathering steps that may be recited in a claim, on one hand, versus transformative steps that are new and non-obvious. The distinction is that the former are not capable of conferring eligibility to an otherwise ineligible claim. That’s how a claim like this one needs to be analyzed. The claim as written is incredibly broad. It’s important not to get hung up on “infra-red detection” because the detection of infra-red radiation is old. It’s just another observation method. That is an ineligible claim. The “abstraction” is the correlation and it’s the correlation that is “non-obvious.” But it’s also ineligible subject matter. Therein lies the rub. Note that this is not a problem with the ineligibility analysis, nor is it a problem with the “gate” being too small. This is how the system is supposed to work. This is the type of subject matter (“determining correlations”) that needs to be screened out of the patent system if the patent system is expected to function. By the way, did you know that pretty much every claim that recites “artificial intelligence” or some variation thereof is junk and is easily invalidated by a skilled attorney? It’s true. If you’re a patent attorney and you don’t know this, you are living a l i e.
Word: With respect to subject matter eligibility, there is definitely a legal distinction to be made between transformations that occur in prior art data gathering steps that may be recited in a claim, on one hand, versus transformative steps that are new and non-obvious. The distinction is that the former are not capable of conferring eligibility to an otherwise ineligible claim. Ditto, citing the use of an old machine to do something of the same kind that old machines did before. Such is not a “new” use of an old machine. Neither does using an old machine for an old use improve that old machine. Ditto old processes. Using an old process to do something of the same kind that such processes were used before is not a new use of an old process. Neither is it an improved process to use an old process for an old use such as to confer eligibility of the rest of the claim that is otherwise directed to ineligible subject matter. Consider Eibel Process. Raising a web a small amount for drainage was known. Raising it substantially more for the purpose of speeding up the transfer of wet paper pulp was a variation different in kind. For the same reason that the Supreme Court held the invention non obvious, the claims were directed to an otherwise patentable invention. Sort of like using different configurations of protons, neutrons, and electrons…. anon, since Flook, one has to first determine what invention is being claimed because claims can include both statutory and non statutory subject matter. That invention itself, the novel aspects of the claim, has to be statutory. Only when you pass 101 and move into 102/103 do you look at the claim as a whole patentable weight to each limitation. CD-ROM with new music. The newness of the music cannot be given any weight in the 103 analysis because music is non statutory. Understand? Your music attempt is dissembling. Do not even bother going there. Definitely it’s “sort of like that” in your world, where black is “sort of” just like white and up is “sort of” just like down. Keep repeating it, “anon”! Use bold and all caps! This is how “truth” is created. Or something “sort of” like it, which is how people like you thrive. Also be sure to run to the bank and cash that check before your clients learn what kind of a sniveling worm you are. LOL – once again Malcolm – you miss the irony of my using that example, given as that example is the example of YOUR logic. It’s not like this has not been explained to you many times now. The irony is that you don’t know what irony is. Ned this sounds like it is right out of Malleus Maleficarum. The twisted strange logic. It’s pretty much impossible to follow what’s at issue here without the actual claim. Determining the concentration of a substance in a body by heating the body and observing radiation emission? Seems a wee bit problematic. determining the concentration of the substance in the body by correlating the normalized ratio parameter with the body surface temperature and the ambient temperature. This claim is different than the one Dennis lists in his post. I think the post has the correct one. Why is it problematic? Is this one eye rolly tots ob too? Have people been first calibrating sensors and pricking their fingers to get a drop of blood and then dipping the sensor into the drop of blood and then cleaning up all the related consumables to get a glucose measurement for the fun of it while the claimed method was always totally obvious law of nature abstract idea? This claim purports to measure the concentration of “a substance” by applying a “correlation” to some data. If the data was previously gathered according to the (broadly) recited techniques, you have a problem. You need to appreciate that there are zillions of known concentrations of bodily “substances” that vary within fairly defined parameters in accordance with all kinds of well-recognized visible (detectable) features. I can watch you get in and out of a swimming pool and come up with a fairly accurate estimate of the concentration of, e.g., arsenic or alcohol, in your system using the power of observation, logic and math. That isn’t “inventing”. Those kinds of “processes” don’t belong in the patent system. Patents on data processing don’t promote progress in data-processing. They just tax it. So because you claim to be able to determine blood alcohol levels by observing someone get out of a pool, the first step toward a medical tri-corder is not an invention. the first step toward a medical tri-corder is not an invention. That’s correct. Not an “invention” in the patent legal sense, anyway. And that’s true of not just the first “step” towards your star trek fantasy device but it’s true also of the next ten or 100 million or so “steps”, nearly all of which are observations about natural correlations that people have been publishing for eons without patent protection. Don’t forget: someone tried to patent a medical database just a few short years ago. They got smacked down, hard. Your beloved “tricorder” isn’t going to be patentable based on the correlations it stores or accesses. Try harder. Name for me please one invention that was patent eligible in your view. Just one. You can’t have read the decision if you think the prior art is limited to direct blood sampling. The main reference taught non-invasively measuring glucose through the same technique 12 years before the filing date of this application. That doesn’t make it an abstract idea. What you are alleging is that it is old. without having read the decision or knowing much about the prior art. Forgive my confusion. Since a Court ruled that the claims ARE NOT obvious, it never occurred to me that you would be alleging, based on the same art reviewed by the court, that they are obvious. Ben chides you with “without having read the decision or knowing much about the prior art.” while Ben himself apparently has not read the decision knows much about the prior art. And he wonders why he is tarred with the same anti-patent group as Malcolm…. Les, no one is saying that a old process for determining glucose in blood is abstract. Actually Ned – THAT is indeed VERY CLOSE to what certain sAme ones ARE saying. anon, I call BS. Since Flook, the focus is on the novel subject matter, the alleged invention, not that which is old and conventional. To its shame, Bilksi confused on this issue. Kennedy should stay away from patent law. Sorry Ned – but here (and many other places in this thread) the conversation was cut short because of the “do not have dialogue” count filter went active. Add to that the posts being left in “awaiting moderation” mode, and the general nature of this thread disappearing from the “current active” spotlight, and the responses I have provided (even if released from moderation), are not likely to continue the conversation forward. No decision link or application number? Sorry – accidentally cut that in the editing process. I hope it’s not excessively nitpicky to point out that the actually reversed the obviousness rejection. I have now fixed the error. The 101 rejection was affirmed while the 103 rejections were reversed. In my view the method could go either way, eligibility wise, depending on the consumer of the information creating the infringement. If human health workers are using the information, the method should not be eligible. If there is further use of the information by non-human actors (i.e. the method steps in the claims are not the entire method), the steps should be eligible, subject (of course) to the patentability requirements of 102, 103, 112, etc. In other words, if you invent a glucose-treating AI system that is somehow non-obvious, this method should pass the Section 101 screen for abstract ideas. 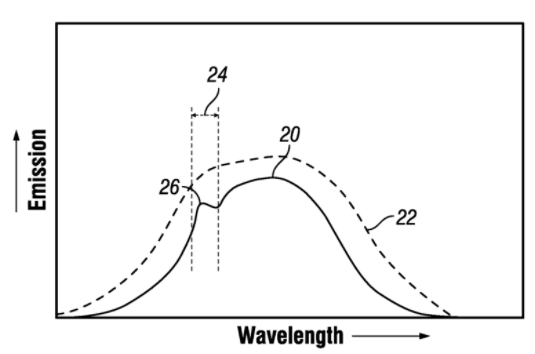 It still may be abstract at patentabilty if there is no further inventive concept beyond the information that IR spectra for glucose changes with radiating temperature, but that would be a different question than at eligibility of the subject matter to even consider patentability. Far better would be an expanded Markman procedure to weed out the obvious claims early in litigation, before massive expense for depositions/full discovery/experts, etc. “Global warming” would fall under the “Law of Nature” judicial exclusion. Yes, anon your comment is meaningless garble. I used to think your desire to be correct was your most prominent characteristic. Then maybe your desire for attention. But now I think it’s just plain ‘ole laziness. I think abstraction at eligibility differs from abstraction at patentability. You don’t seem to think at all. You just react. Lazily, and, and worse, boringly. It is NOT I that “reacts” unthinkingly. Also, the lazy and boring are you, not I. Your Malcolm-like Accuse Others meme does not work for him. Why do you think it will work for you? It is NOT I that “reacts” unthinkingly. Also, the l a z y and b 0 r i n g are you, not I. Your Malcolm-like Accuse Others meme does not work for him. Why do you think it will work for you? anon: law, facts, and reality? That’s nattering. The basis in law is the same as the judicial exception for abstract ideas. The facts are that at eligibility we are looking for something categorical. Most people understand something categorical to be intrinsic to the item being categorized. In other words, can THIS thing be an invention? Patentability is understood to be more extrinsic How does THIS invention compare to other inventions? Human consumption of information is abstract, 100% of the time. Its an intrinsic fact. Creating an “invention” from an idea, using only previously invented items + the idea is an extrinsic analysis of the previous inventions and the idea. As to reality? The reality is that real cases, every single day, live or die on 101 decisions that depend on the philosophy of the jurist. That’s a fact, Jack. Ned: If we want patents on MPEG, and encryption, etc. the measure of a patentable invention must turn on something other than pure novelty. A compression standard is non-obvious in the sense that nobody could ever come up with it again, but obvious in the sense that the components by themselves are easily known to PHOSITA. It’s the social convention of accepting it and the labor of putting it together that should provide the policy basis of patent protection. That’s basically something new about the information age because the invention is entirely made of information. I should have been more clear above that an expanded Markman procedure should weed out not only the blatantly obvious claims, but those that are not abstract intrinsically (lacking human consumption), but are abstract extrinsically (not claiming anything actually inventive except ideas, which may not be patented). The Alice test works well- its just being used in the wrong place. talk casually, especially about unimportant matters; chatter. There is NO SUCH THING as the “abstractness of patentability” as you are attempting to get on your soapbox with. That is NOT what obviousness is about. As much as those that you would feed upon here (Ned and Malcolm) – there IS this thing called “claim as a whole” that remains a vital part of the equation. Your “The Alice test works well- its just being used in the wrong place.” only shows that you understand NEITHER 101 or 103.
the paper, which you are too indolent to read, is a proposal to compromise across the gulf of disagreement that the current regime engenders. It’s been reviewed by people by all indications far more accomplished than you, and not one has said anything about “feelings”. FWIW, feelings are important to the legitimacy of law, and there are LOTS of bad feelings about patents out there in that “reality” that you claim to champion. Maybe its not me who knows not of the terrain. I have PREVIOUSLY told you that I did start reading your paper – and stopped at the error #20 in your abstract. Nothing indolent here except you and your pretensions that your feelings are anywhere close to patent law. And your obtuseness about feelings is incrimination all on its own. I stopped at the abstract. LOL. Indolence personified. No specific criticism beyond you just don’t like it. Green Eggs and Ham. Here too, “moderation” (editorial control) snuffed the dialogue (be that dialogue as limited as it may be given Martin’s lack of legal understanding and insistence that his “feelings” paper speaks to legal issues in any meaningful way). Martin, that which is an obvious must be otherwise patentable. If the only novel subject matter in the claim is an improved method of calculation of a correlation, a fact of nature, an otherwise statutory process is not improved, then there is nothing in the claim that is eligible to be considered to be obvious and nonobvious. A new method that provides an improved measurement technique that does not depend upon the novelty of the law of nature involved probably passes the eligibility test because it normally would involve a transformation of one kind or another. But using existing processes only to detect a phenomena and then using mathematics that are based upon a law of nature correlation does not involve an improved process. …claim as a whole – completely eviscerates your attempt at obfuscation here Ned. anon, claim as a whole does not work for 103 if the point of departure over the prior art is not eligible. CD-ROM with new music is the classic example. You keep on trying to dissemble when I have ALREADY provided you with the controlling fact of the exceptions to the judicial doctrine of printed matter. NO ONE is talking about ANY attempts to claim music. anon, the example of music is to illustrate a point, and you know it. It illustrates NOTHING Ned – and YOU know it. 2) The statutory categories (MEANT to be a wide open welcoming gate). ANY “example” that delves into the Fine Arts is a logical NON-STARTER and simply cannot provide the point that you think that you are providing. “claim as a whole” is untethered from law, facts, or reality. If you can’t identify claim elements, you can’t construe claims, nor can PHOSITA understand them. There is a reasonable middle ground between a unitary claim construction and prohibition on defining the meaning of individual words. Vast even. 22. A method comprising determining an orientation of an object relative to a moving reference frame based on signals from two inertial sensors mounted respectively on the object and on the moving reference frame. In Ariosa, the parties agreed the inventors did not create or alter the genetic information detected. In the present Gerlitz, the method creates the measured IR radiation. You have not “Gisted” enough..